You can select at most 5 quantity for this product. 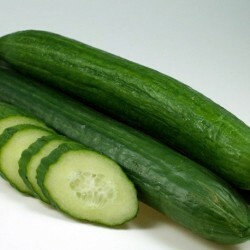 Femspot is an F1 Hybrid cucumber, one of the best selling varieties in the UK. The plants are really strong growing, earlier cropper than most other cucumbers. You can enjoy the bitter free, ribbed fruits all summer long. Ideal greenhouse crop, but can be grown outside too in a sunny, sheltered spot in the garden or in your allotment plot. 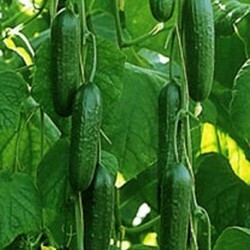 In fact Cucumber Femspot is proved to be one of the best all female varieties for outdoor production. Sow Cucumber Femspot seeds under cover from late April, ideally inside the house or in a heated propagator. Sow about 2 cm deep in finest seed sowing compost, as it can be tricky to germinate cucumbers . 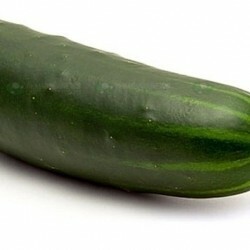 Sow 1 cucumber seed per small pot/seed cell, and keep the compost moist. Germination takes about 7-10 days at about 17-20 Celsius or even higher. For best results one really should germinate the cucumbers at around 27 Celsius. 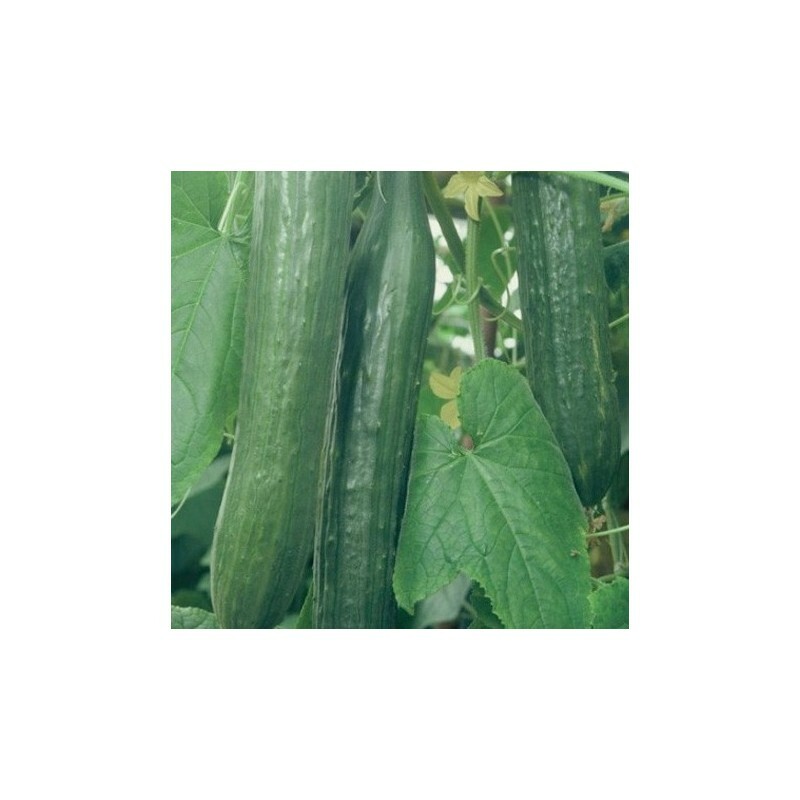 The trick with cucumbers is that after germination you should place the seedlings in a cooler environment to slow down the initial growth, then when the plants have 3 - 4 pairs of true leaves you can aclimatize them to conditions of the greenhouse or polytunnel. Transplant into bigger pots when large enough to handle and keep inside until the last chance of frost has passed. Prefers sunny location and well drained, rich soil. Grow in the greenhouse, polytunnel, conservatory or in a very warm, sheltered spot in your garden, allotment. Water well during growth and especially during flowering as drying out will affact the flowers setting ina negative way, and feed weekly for the highest production. 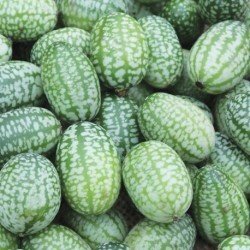 A very prolific variety, in optimal condition one plant can produce masses of cucumbers, much more than one family can consume, so better to make cucumber water, it is an excellent refreshing drink on a summer evening after a long day hard work in your garden.